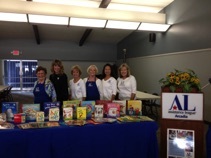 Assistance League of Arcadia volunteers transform the lives of children and adults through community programs. Assistance League of Arcadia, a chapter of Assistance League, is a 100% member-volunteer nonprofit 501(c)(3) organization serving our community, through hands-on involvement and innovative programs. All funds raised by our chapter go directly back into the San Gabriel Valley communities we serve. Founded in 1954, we became the 22nd chapter of the National Assistance League. We currently have over 300 chapter and auxiliary members of diverse backgrounds, ages, and occupations who donate over 23,000 service hours, serve over 20,000 people, and raise over $200,000 through thrift shop sales annually to fund the chapter’s numerous community service programs. We presently serve the communities of Alhambra, Arcadia, Duarte, Monrovia, Rosemead, San Gabriel, and Temple City. Assistance League has a network of more than 120 chapters stretching across the country; bound by a strong central cause and vision to empower volunteers to make lasting change in our communities. Unlike most national charities, National Assistance League's focus is on local chapter needs first. 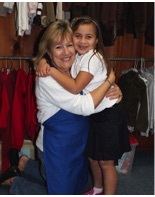 Assistance League actually helps their volunteers realize their vision for their communities. All funds they raise stay in those individual communities. So their dreams become our dreams. Together we help people in need achieve a better quality of life.